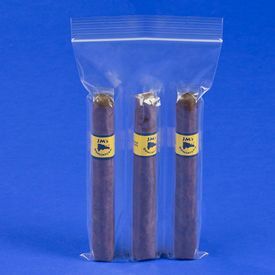 The new tobacco imprint ziplock bags are the perfect assistants in keep your cigars fresh and crisp with a capacity of holding up to 6 at a time. 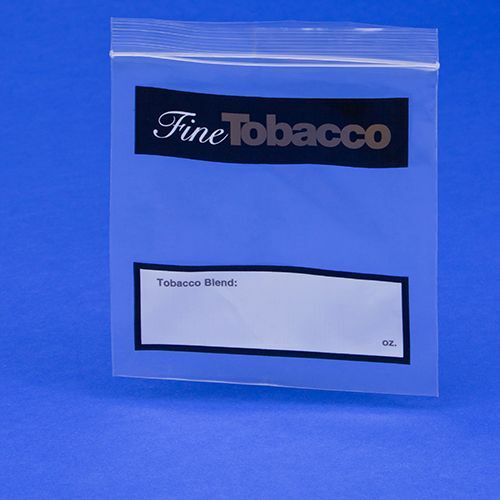 Now you can always guarantee that your tobacco will remain fresh, because the fine tobacco imprint ziplock bags from Bags of Bags have changed the game. 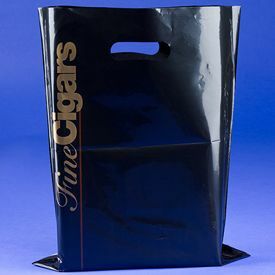 These bags are made from high quality materials and can easily store a lot of tobacco, while keeping it fresh. 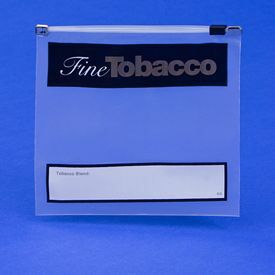 There is 'fine tobacco' printed on the front of the bag, which is around 3 ml thick. 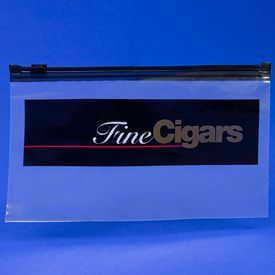 The re-closable zipper locking bag, keeps the tobacco secure, and also stops moisture and oxygen from getting inside. So now you can easily store tobacco in this bag and keep it fresh all the time.